Of all the questions I get, the one I get the most often is this ... "How can I make money online?" It's an understandable desire, and one that many people have in all parts of our world. While the question is easy, the answer can be more elusive. But it does not need to be that way. You see, modeling what works is the fastest way to achieve your goals. Rather than "reinventing the wheel", you simply find a model you like and use that as your blueprint. Today, and in response to a question by a most excellent customer named Jim, I am sharing not one but FOUR ways to make that happen. I hope you enjoy it. If you do, please share it. Hi this is Charlie Page. Did you notice the big 'ol $100 bill? I don't think I've ever shown money on a slide before. I know you noticed the $100 bill but did you notice the puzzle? 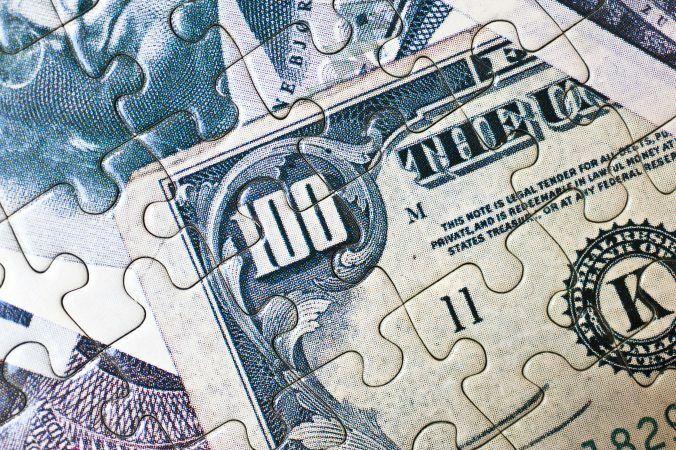 Let's take a look again, look at that, it turns out that this $100 bill is a puzzle and the reason I chose this image is because for far too many people, making money online is a puzzle that they just can't solve. For example, one man asked me this the other day, "How can I make $5,000 online?" I get this question a lot, sometimes it's not $5,000, sometimes it's $100,000 or $10,000 or less or more but I get that a lot, "How can I make money online?" Now it's rather a broad question because there's no qualifier not, "How can I make money online by building websites for people?" but just how can I do it and it's an important question. In this video I'm going to give you my best answer, as a matter of fact I'm going to give you several options. Now before we begin it should be obvious that I can't guarantee you'll earn $5,000 just by watching this video. Oh how I wish that was true, I really wish it was that easy. But I will tell you this, I really believe with all my heart that anybody of average intelligence, who will apply themselves and use the right techniques can succeed online. I've seen it happen over and over again. I can't guarantee it because it's completely dependent on your efforts and we're not even sitting in the same room with each other, you're watching a video. I really can't guarantee anything and I just want you to know that. But here is what works if you work it and this is exactly what I would tell anybody who came to me and said, "How do I make money online?" Family, friends, consulting clients, et cetera. Without knowing more than that, how can I make money, here are four ways to make $5,000 online. This is the advice I would give my 20 year old self. Number one, promote big ticket products, that's method number one, selling The Big Ticket. Now some people want to make that $5,000 all in one chunk, they just want one transaction and it's over with and hey, who doesn't want that so they go for the big ticket offer. You've seen these offers before, they usually offer to do the selling for you after you sign up. You got to pay a pretty good fee to get in there but then after that they're going to do the selling for you and they're going to make it easy and that's fine, no problem at all. These programs can be good, they can be very good if you know how to drive highly targeted traffic. That is the X factor and that's a really big if for most people. Now why do I say, "You've got to be able to drive highly targeted traffic." Well think about it this way, most websites convert sales, cold traffic, strangers, people coming there for the first time, at about 1% for a $300 product. 100 people come and one person buys and the product costs $300. Imagine what the conversion must be on a $10,000 product, much lower than a $300 product. How many hundreds or even thousands of qualified people will you need to send in order to get your $5,000? Now I'm not saying it can't be done, I am saying it's very hard for a beginner. Alright let's look at method two, The Small Ticket. Another option is to promote a smaller ticket item that pays a commission in the range of $100. Let's say it's a 50% commission on a $200 product so you get paid $100. It's much easier to make a $200 sale than it is to make a $10,000 sale. This method works well if you are not an expert at driving traffic yet, but you are willing to buy some reasonably priced advertising and possibly do some content marketing. You really can successfully promote products that sell for $200, $300, even up to $500 using those methods. And these sites generally convert 1% to 3% of sales, if there's no proven sales funnel in place that is. 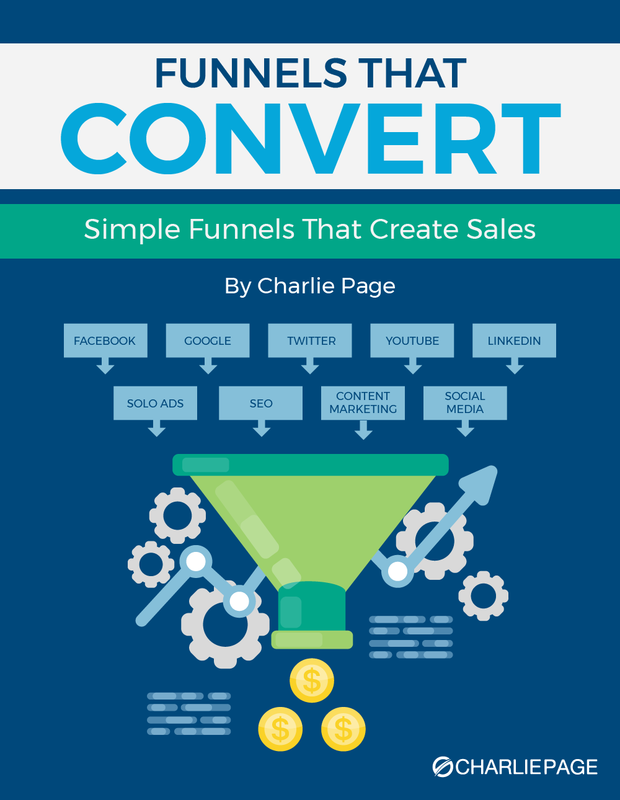 If there's a funnel in place and it's strong and well tested, the conversions can be much higher. This is an easier route for someone who hasn't made much money yet. Okay method number three is The Impulse Buy. This is promoting very low cost or even no cost products or programs. The upside here is that those sales come much more easily, after all it's an impulse buy, often $10 or $20 or even free to join. Now one word of warning about this method and I know you've seen these sites that are free to join. Many of the free to join programs want you to buy something so that you can promote their free offer. And that's not necessarily bad if you can promote them successfully, but you do need to see that upfront so you know what you're getting into. Now let's say your impulse item costs $20, it might be an ebook, it might be something that gets shipped. It could be a physical product or an information product. How many sales would you need to get that $5,000, well you'd need 250 right? And that sounds like a lot but don't worry, it's really not that bad. It's really not as many as it sounds given how quickly someone will buy a $20 item. I can tell you that I sell items that go for thousands of dollars, and I have sold some of our products at $20 and the pace that people buy them for $20 is amazing but it does take a little time. Now if you make three sales a day, which is easy with an impulse item, you'll make your $5,000 in less than 90 days. If that sounds too long ask yourself this and I mean no offense by this question, but I would be less than honest if I didn't ask it. How much have you made in the last 90 days? If it's more than $5,000 then hallelujah, that's a wonderful thing. But if you're thinking well 90 days, I can't wait that long, try one of these methods, it will help you. All right method number four the Steady Stream. The Steady Stream method is making money from your email list and it works wonderfully well. Based on my research and my experience, when done right this method produces between $1 and $3 a month for each person on your list. If you earn $2 per subscriber you would only need 2,500 subscribers to earn $5,000 per month. Now unlike the first three methods, this creates passive income, that's $5,000 per month, not one time. That's $60,000 per year, pretty much automatically if you handle your list right. By the way, some people make many times more than $2 per subscriber. It just depends upon the niche you're in and how you approach the list but between one and three and is a good average in most niches. How long does it take to get to 2,500 subscribers? It takes less time than you might think. If you added 50 new people to your list every day, it would take only 50 days, that's less than two months. Now if you're thinking but I have zero people on my list right now, that's okay I did too at one point. I understand exactly how that feels, it is frustrating. The key is to learn to build your list and make that your number one passion. Once you've got your list-building elements in place and that means a way to capture leads and a way to follow up with them to make them offers and nurture them with high quality content, then list building is your number one job, it's really your only job. More about that in another video, we're getting long on this one. The key to all four of these methods is automation, absolutely the key is automation. Automation keeps the sales coming in steady. Keep an eye on my blog because I'll be sharing much more, some deep information actually, for free, very soon about automation. Which method will work best for you, let's recap. Number one, selling higher ticket items. You make that $5,000 boom, all in one chunk. Sounds like a dream come true. It can be great, selling mid-ticket items where you're making maybe $100 per sale and that's a great way to go too and that's how most people are trying to make money online right now. Selling impulse items that sell for $10 or $20 but you sell a whole lot more of them and you create a lot of customers, you build a customer list very quickly or building your mailing list. Not everything is right for everybody. Which one of these seems best to you? No matter which path you choose there will be three things required in my opinion. Requirement one, a singular focus, you've really got to focus. I have people come to me all the time and say, "I don't care what I promote I just want to make money." That's not going to get the job done, you really have got to believe in your product, you've got to be passionate about your product and have that singular focus. Requirement number two, everyday effort. This really cannot be done in three hours a week, I'm sorry it just can't. By the same token you don't have to spend 12 hours a day but you do need to do something every day towards your goal, so it is going to require everyday effort like a job. Again, not eight hours a day but at least one or two. Requirement number three is automation. Automation is the name of the game period, end of story. If you automate your business you set it and forget it because it really will build over time automatically. Now that's not from day one but it can be done and every move you make in your beginning stages of becoming successful, you need to have an automation focus. If you need help figuring it out or you want to discuss it, contact me and let's talk about it. You can reach me at CharliePage.com, you can also get more at CharliePage.com if you're not watching this video there, if you're on Facebook or YouTube. If you take time to like this video I will really appreciate it. I want to get this information out to as many people as possible. It really is a puzzle for a lot of people but it's easier than you think if you take the proven steps and you model success. All right this is Charlie Page, thanks for watching. I hope you have an excellent day. Hi Charlie, I offered a wheelchair vehicle for $4000.00 & no-one wanted it so a month later I offered it for $5500.00 and sold it in 3 days. I haven’t read much of this post yet but I will tomorrow, its getting to late for me tonight. Funny how people’s perception of value work isn’t it? Great insightful video! Thank you! Thank you. I’m so happy you enjoyed it!